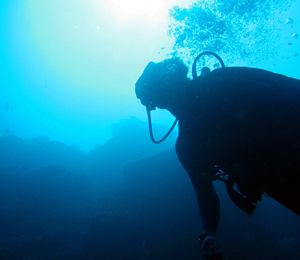 Interested in scuba diving but don't have your certification yet? Want to test the waters before you take the plunge? You can now experience the thrill and excitement of scuba diving without having your certification. The Discover Scuba Adventure will provide all uncertified divers with the training, equipment and the opportunity to introduce novices to the wonderful world of scuba diving. 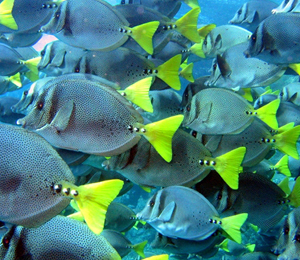 After finishing your preliminary coursework at a local dive shop near your home, complete your certification with four open-water dives in the gorgeous waters of the Sea of Cortez. 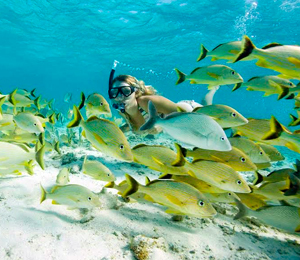 Cabo San Lucas offers the perfect locale for new scuba divers to dive in open water. This specialized Scuba Diver course is for people interested in diving who might not have time for a full Open Water certification. This limited certification allows you to dive while also working towards your full OW certification. Can you think of a more suitable place to achieve PADI scuba diving certification than in the crystalline waters of the Sea of Cortez? Join our diving instructors for a safe and fun scuba diving course while you are vacationing in Cabo San Lucas.